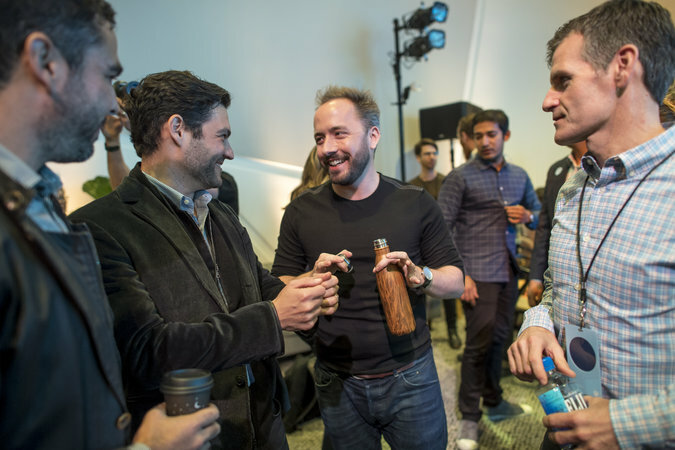 Drew Houston, Dropbox’s chief executive, will soon join a small club of tech founders who took their start-up all the way through to the public markets. 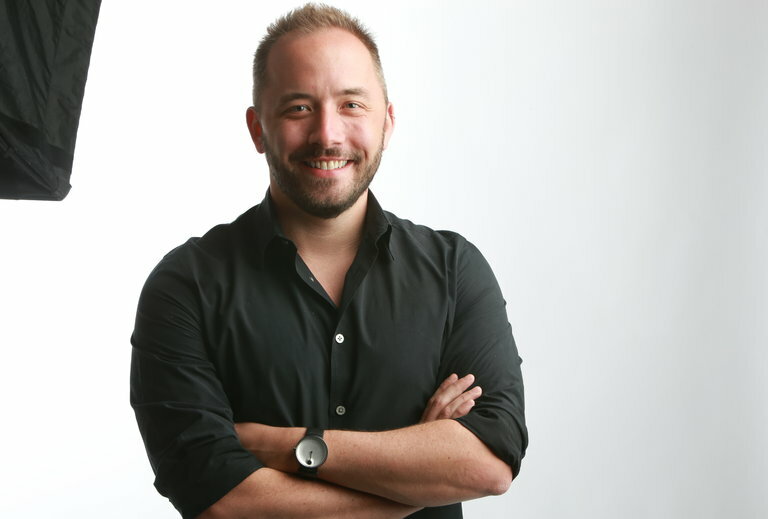 SAN FRANCISCO — When Drew Houston played computer games like Starcraft in high school, he made some changes so the games ran more smoothly on his friends’ computers. “He created this one little application, and it would basically display everybody’s shared files, and then if you clicked on a file, it would go ahead and ask everyone else on the network if they wanted to download it as well,” said Andrew Croswell, a friend of Mr. Houston’s from Acton-Boxborough Regional High School in Acton, Mass. Mr. Houston, now 35, has since taken a version of that same concept and turned it into Dropbox, an online file storage and collaboration company that has grown rapidly since its founding in 2007. In the process, Mr. Houston is also set to become the next bona fide tech billionaire. According to Dropbox’s initial public offering filing, he owns 25 percent of the company, making him its single largest shareholder. Dropbox was last privately valued at about $10 billion, meaning Mr. Houston’s stake was worth about $2.5 billion on paper. Whether Mr. Houston successfully takes Dropbox public will be closely watched, with other privately held tech companies like Uber and Airbnb also edging toward an I.P.O. Dropbox, which is based in San Francisco, is unprofitable, and Mr. Houston now has to navigate through a challenging time, both guiding his company around the tech giants that are squeezing into its space and adapting his frat guy persona to a changing culture. Dropbox said Mr. Houston was unavailable for comment, citing the quiet period before an I.P.O. But according to interviews with more than a dozen people, Mr. Houston — a private man with a love of 1990s rock and business books — built his company with an easygoing management style and a dry sense of humor, which helped him deal with the bumps along the way. Mr. Houston grew up in Acton, a suburb outside Boston, the oldest of three children. His father, an engineer, and his mother, a librarian, noticed early on that Mr. Houston was precocious and encouraged him to explore his interest in computers, but did not want him skipping grades. “His parents wanted him to stay in first grade for socialization, and they didn’t want to use the term gifted,” said Claudia Couto, who taught at Mr. Houston’s elementary school and tutored him privately. She is now retired. As a middle schooler, Mr. Houston beta-tested computer games looking for security flaws. He worked for a robotics start-up as a teenager and repaired computers for neighbors. He got a perfect score on the SAT and attended the Massachusetts Institute of Technology in 2001. “He’s maybe one of the last ones of a very un-C.E.O.-like C.E.O.,” one tech analyst said of Mr. Houston, center, at an event in San Francisco. At M.I.T., he joined the Phi Delta Theta fraternity, which he has said helped him learn how to build a corporate culture. After his sophomore year, he took a year off and started an SAT prep company called Accolade with one of his former high school teachers, Andrew Crick. Upon returning to M.I.T., Mr. Houston decided to learn as much about business as he could, plowing through business books from a chair he set up on the roof of his fraternity, he has said. A Pearl Jam fan, Mr. Houston in 2005 formed a 1990s cover band called Angry Flannel, which played at venues around Boston. On a bus one day from Boston to New York, Mr. Houston forgot his USB flash stick. Frustrated, he started coding what would be the foundation of Dropbox. He became less interested in Accolade, which closed. In 2007, Mr. Houston entered Dropbox into the Boston program of Y Combinator, the Silicon Valley start-up incubator. Paul Graham, who was running Y Combinator, said Mr. Houston needed a co-founder fast. Mr. Vogt referred Mr. Houston to Arash Ferdowsi, an M.I.T. student. Within two weeks, Mr. Ferdowsi became Dropbox’s co-founder; he owns a 10 percent stake of the company. The duo worked in Cambridge, Mass., but struggled to land more funding. In August 2007, Mr. Houston and Mr. Ferdowsi moved to San Francisco to get closer to the start-up scene. A month later, they raised $1.2 million from investors including Sequoia Capital. Mr. Houston and Mr. Ferdowsi moved into an apartment building in the city’s North Beach neighborhood. It was known as the Y Scraper because of how many Y Combinator company founders lived and worked there. Mr. Houston and Mr. Vogt later became roommates. “To this day, he still likes to have people over to his apartment and do jam sessions,” Mr. Vogt said. Mr. Houston also became close to Mark Zuckerberg of Facebook. In 2013, Mr. Houston joined Mr. Zuckerberg as a co-founder of FWD.us, a group that mobilizes the tech industry for immigration reform. Running Dropbox, Mr. Houston was at first determined to aim its product — which lets people store and access their files in the cloud — at consumers rather than businesses. He spent lavishly on employee perks, totaling $25,000 a year per person by 2016. The company once paid $60,000 for a five-foot chrome panda for its headquarters, becoming a symbol of start–up excess. Dropbox also developed a reputation as an unwelcoming workplace for women. “Some of the things they’ve been struggling with are how to balance Dropbox being a fun place to work with accusations of having a frat boy atmosphere,” Mr. Mann said. Dropbox’s business evolved in 2014 after Mr. Houston hired Dennis Woodside, a former Google executive, as chief operating officer. Now its products are primarily used for work, with businesses paying a subscription fee for the platform. A rival company, Box, which was aimed at businesses, went public in 2015. “From Day One, Dropbox has been an incredibly user-friendly product — which is a big reason why it spread virally — but it also took the company too long to realize the money was in being a business-focused company, not a consumer-focused one,” said Ben Thompson, the analyst behind the influential tech newsletter Stratechery. In 2015, investors began questioning whether high-priced start-ups were living up to their skyrocketing valuations. Dropbox, already privately valued at $10 billion, was marked down in value by some large institutional investors. Whether Dropbox can compete against behemoths like Microsoft, Apple, Amazon and Google, which all provide cloud storage, remains a question. “Here you have somebody who’s literally in competition with all four, except Facebook,” said Hadi Partovi, an early Dropbox investor. But he added that Mr. Houston’s even-keeled demeanor had allowed the company to work with competitors like Microsoft and Google. Today, Mr. Houston lives in the Millennium Tower, a glass high-rise in the South of Market neighborhood. His apartment floors are stone and the furniture is minimalist and modern. In the living room, he has built a midsize stage to perform music. He has a house in Hawaii where he vacations. He is a bachelor and, his friends said, lives like one. On weekends, he and his friends around the country still put on their headsets and play video games together.